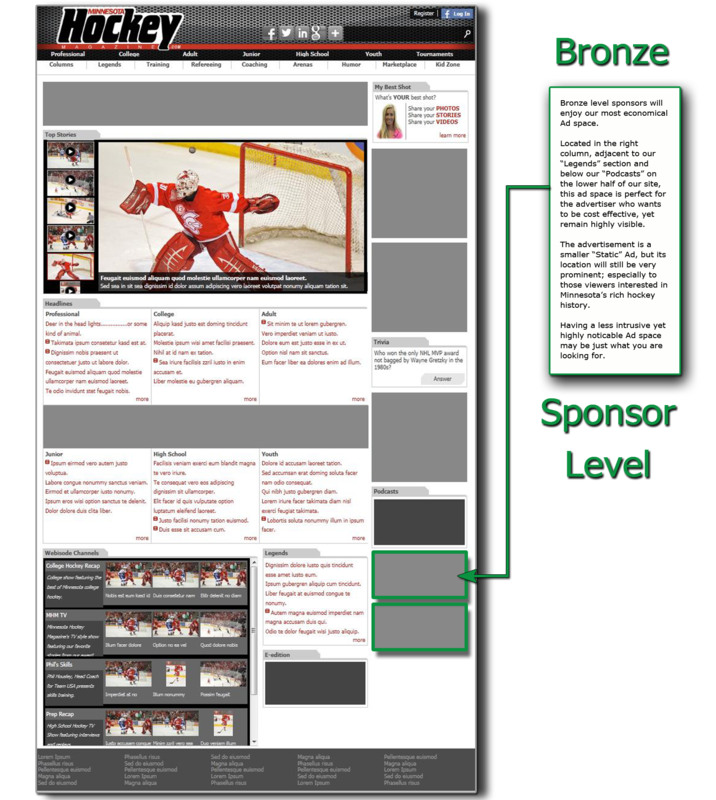 Our Bronze level Advertisement option is for those who want a piece of the action in a smaller presence. The static advertisement delivered in this package still plays a part in the design of each and every edition, but would normally be placed further down in the fold, and would be a smaller sized advertisement than those at the other levels. Participation at this level is not limited to a certain amount of players, so availability is not an issue. Go to our “Contact Us” page and submit your “request for information” or just give us a call, and we will send you our “Rate Sheet” PDF.